If you haven't already, please sign the Amnesty International petition and Change.org petition asking for blogger Raif Badawi’s unconditional release. Raif Badawi was imprisoned for 10 years "in May 2014 after starting a website for social and political debate in Saudi Arabia. He was charged with creating the ‘Saudi Arabian Liberals’ website and insulting Islam." His sentence included 1,000 lashes to be administered at the rate of 50 per week. 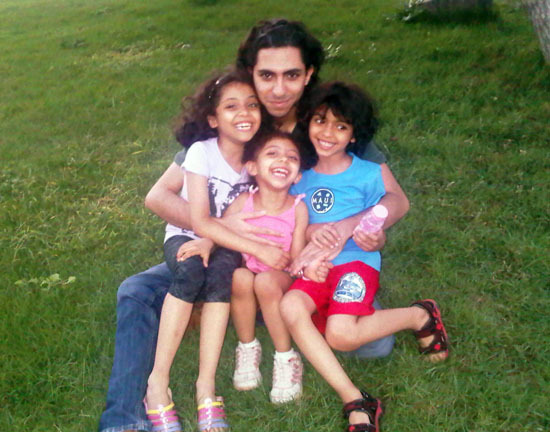 On January 9th, Raif Badawi received the first set of 50 lashes in a public flogging. A medical committee deemed him too weak and unwell from his first set of lashes to receive a second set the following week. In short, Raif would have to recover enough to be lashed again and again for an unthinkable 20 weeks. After an international outcry for Raif, King Abdullah has referred the case to the Saudi Arabian supreme court. On Sunday night 18 Nobel Laureates published an open letter urging Saudi academics to condemn the public flogging. 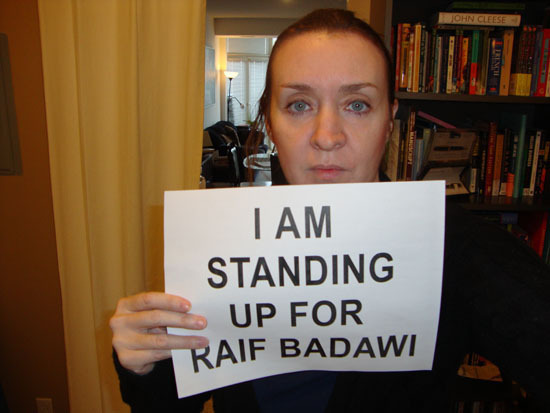 Today you can also take part in the Stand Up For Raif online protest to help show your support for Raif and keep up the pressure to have him released. You can read excerpts from Raif Badawi's writings at the Guardian.co.uk.